I went to see George Clooney in The Descendants the other night at the same time the film was named best dramatic picture at the Golden Globes. And while I'm a little surprised this is considered the year's top drama, there is no doubt that it is the study of a complex individual in a heartbreaking situation. Clooney also won best actor in a drama. He was the reason I wanted to see the movie. Along with the always-lovely-to-see setting of Hawaii. And Clooney does not disappoint. This layered performance is one of his deepest character explorations and ranks high in his top 15 movies. Shailene Woodley is also amazing as one of Clooney's daughters, left behind by a mother lapsed into a coma after a boating accident. She is believable and lovable all the way through her transformation from a crazy kid to a responsible and helpful adult during the short time arc of the story. 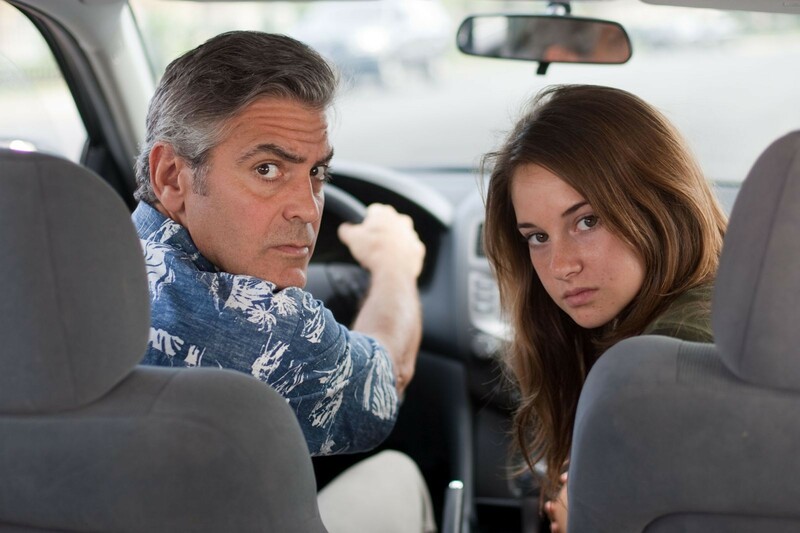 Director Alexander Payne now has a perfect trifecta of Election, Sideways, and The Descendants. He, along with Clooney, have really solidified themselves as a couple of the greats.